The perfect ally for students, presenting a concise revision guide and a supplement to course texts. It is an ideal introduction to the subject, covering all the fundamental aspects of the law of delict and its place within Scots Law. Gone is the need to rely upon a combination of scribbled notes and photocopies to decipher a terms-worth of work. 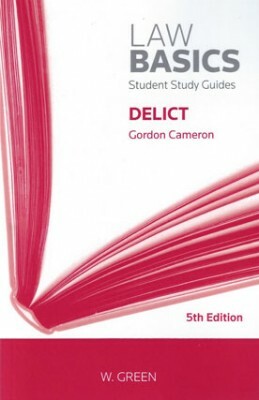 In this new edition, Professor Gordon Cameron has broken down every essential aspect of Delict law that is bound to come up during the exam, including newly relevant cases and legislation, and provided a concise summary to help students prepare for their exam.